This Thanksgiving, we are looking back at one of our favorite news stories to get us into the Holiday Spirit. So without further ado, here's Dalton "Doc" Winslow's story about his bread baking K-Term Project, clever named Dough in Doe Dining Hall. When I proposed the idea for Bread 101: Dough in Doe for K-Term, KUA’s all-school project week, my impetus was this: I have long enjoyed baking bread as a hobby and thought that it was an important skill that could benefit high school students. As it turns out, they love it as much as I do. In many areas of learning, “demystification” is a factor. This is nearly universal with acquiring bread-baking skills: the process cows people. But it’s been around since time immemorial—how hard can it be? Part of the satisfaction as a learner (and as the observant guide) is the, “Hey, I can do this” mindset. 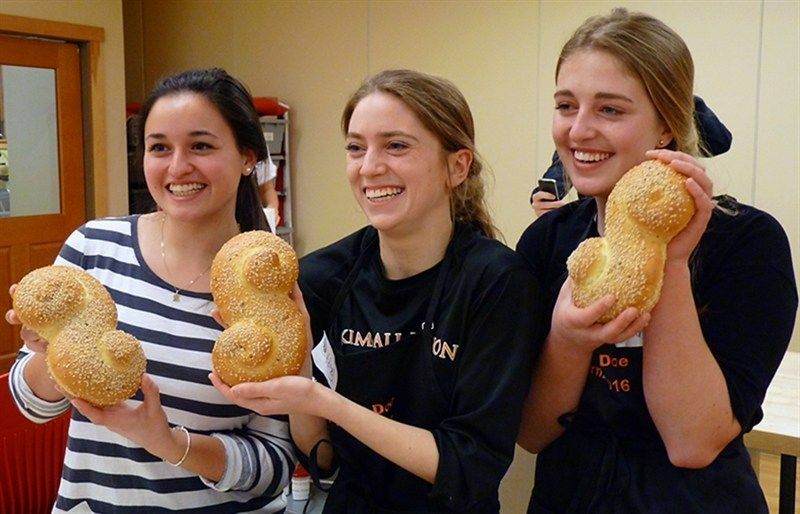 This has been my experience working with KUA students baking bread. Throughout the week, in addition to baking bread on campus in Doe Dining Hall, we have had the opportunity to cook in and for our community, with visits to Poor Thom’s Tavern right here in Meriden for a pizza-making lesson, as well as a trip to the world-renowned baking studio at King Arthur Flour in Norwich, VT for a class with the pros. Later in the week, when we are up to our knees in loaves, baguettes, and boules, we give back to the community with a trip to the food pantry at the Upper Valley Haven. 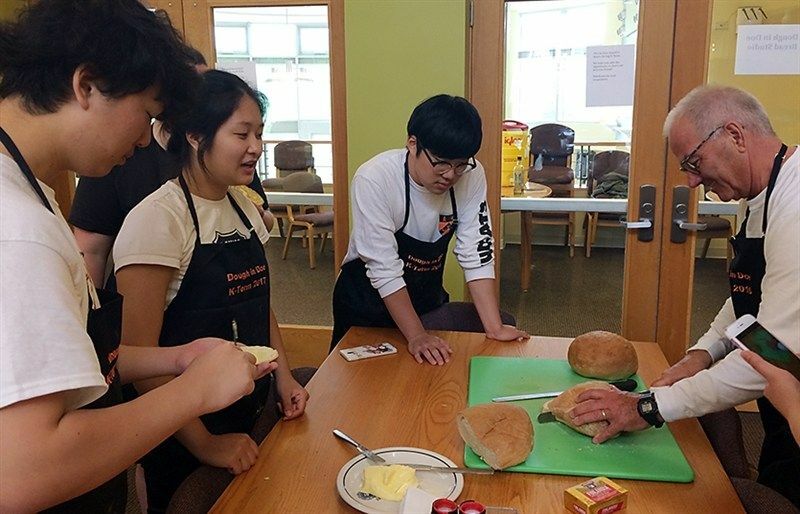 Though a departure from regular academic pursuits, bread baking has many lessons that can be applied in other areas of learning: following directions, perseverance, and creativity, to name a few. In addition, students gain a skill that may stay with them for life, or inspire a new passion. Whether you’ve baked your own bread or visited your local baker, we hope you enjoy breaking bread with family and friends and share in the spirit of Thanksgiving. Happy Thanksgiving from Kimball Union.